On the April 28th episode, the CBS health and wellness show will feature Dr. Yovino’s innovative work performing awake laser liposuction. Beverly Hills Plastic Surgeon Dr. Justin Yovino performing an "Awake Laser Liposuction" procedure for an April 28th episode of "The Doctors" on CBS. Beverly Hills plastic surgeon Dr. Justin Yovino of Ideal Face and Body will be featured in an upcoming episode of ‘The Doctors,’ airing on Monday, April 28. The CBS health and wellness show frequently features doctors who have been doing groundbreaking work in their field and can provide expert answers to viewers’ medical questions. ‘The Doctors’ has invited Dr. Yovino to appear on the program because of his innovative work performing awake laser liposuction. Traditional liposuction requires general anesthesia, often results in significant swelling and bruising, and means a lengthy recovery. This prolonged recovery period isn’t feasible for many people who are interested in the procedure, including the patient of Dr. Yovino’s who appears in the show, a local fitness instructor. After finding that even a strict diet and regular exercise did nothing to reduce the size of her arms, the fitness instructor asked Dr. Yovino about a slimming procedure that wouldn’t require anesthesia. Awake laser liposuction requires only light sedation, which allowed the patient to remain conscious and comfortable the whole time. It does not use needles, scalpels, or stitches, and patients do not need to follow any dieting restrictions, such as fasting, either before or after the operation. The procedure involved creating three tiny skin openings along the patient’s arms and bathing the unwanted fat with a numbing agent. Dr. Yovino then passes a sculpting laser through the unwanted fat and underneath the overlying skin, instantly melting the fat and tightening the skin as a result. Dr. Yovino was able to complete the procedure on the patient featured in the episode in less than an hour, and she was able to return home the same day with no pain. Although Dr. Yovino advised her to avoid rigorous exercise while recovering, she was able to return to her normal activities the next day. When the patient met with Dr. Yovino for a follow-up the next week, she expressed her satisfaction and asked about other areas of her body that could benefit from this painless procedure. Dr. Yovino is an expert surgeon who has been licensed to practice plastic surgery since 2009. He has received recognition from his peers and patients, been published in respected peer-reviewed plastic surgery journals, and has presented his clinical work at plastic surgery conferences. TV viewers in the Los Angeles area can see him on ‘The Doctors’ at 11 am on Monday, April 28. Viewers outside of LA should check their CBS local listings to see when they can watch Dr. Yovino’s episode. Justin Yovino, M.D., FACS is the premier plastic surgeon in Beverly Hills. 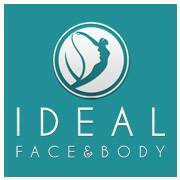 As a board-certified plastic surgeon by The American Board of Surgery and as a Fellow of the American College of Surgeons, as well as being a Certified Diplomate of the American Board of Plastic Surgery, Dr. Yovino has both the educational credentials and the clinical experience to help renew, revitalize, and refresh the look of his patients at Ideal Face and Body.